Welcome to Mercedes-Benz SLC Forum, an online Mercedes-Benz SLC community for Mercedes-Benz SLC owners and enthusiasts. Check out our Mercedes-Benz SLC Forum for the latest news, information and forum discussions regarding the Mercedes-Benz SLC. Whether you are researching different performance parts, custom tuning or simply wanting to diagnose problems, Mercedes-Benz SLC Forum is the right place for you. So please take a moment and register for a free account on our Mercedes-Benz SLC message board. The Mercedes-Benz SLC-Class is a prime example of what I'm on about. In the three-pointed star's own words, here's how the cookie crumbles: "Whether with an entry-level engine, diesel drive or as a Mercedes-AMG top-of-the-line model." 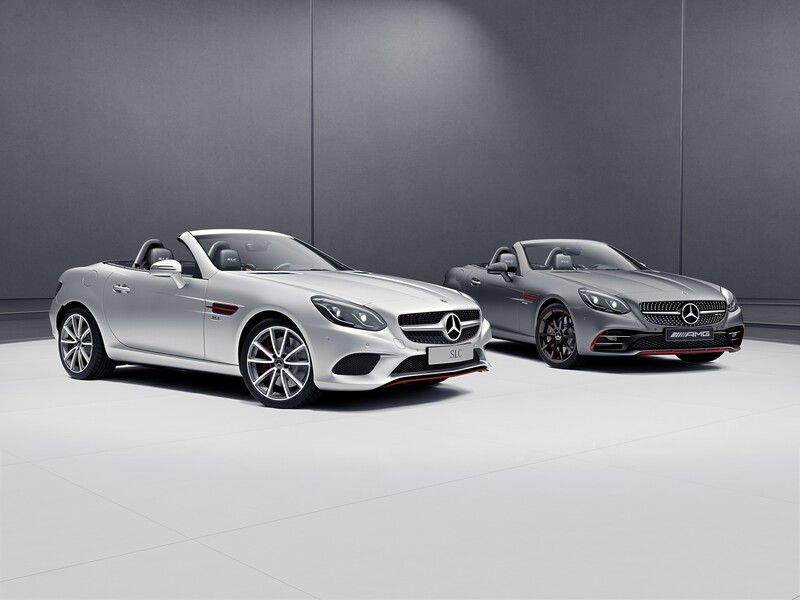 With this choice of words, Mercedes-Benz is referring to the availability of the RedArt Edition for all SLC models, which range from the 180 to the AMG-ified 43. Is this forum active or is it because I?m new?